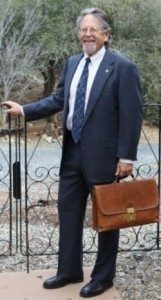 We welcome Jim Cherry, of the Jim Cherry Mediation Center, to our Advisory Council for Tuolumne County: Community of Peace. Jim and his wife Patricia, an artist (www.artistpatriciacherry.com), will be working with county, state, and international Rotary Club organizations to build alliances for the global organization’s new mission to foster peace. To create a City of Peace movement within Tuolumne County, California. To be a Peace Maker as a Mediator and a Peace Builder as a Rotarian. To serve the citizens and businesses from the Bay Area to the Sierra Foothills, by providing a cost-effective and fair Alternative Dispute Resolution service, including Mediation and Arbitration, to bring about respectful conflict resolution, without the need for a trial. To become involved in the Alternative Dispute Resolution process early in the matter, preferably before litigation is initiated. To help clients make smarter, better decisions and control their own destinies. Being part of the growing number of lawyers and counselors committed to the Mediation Process. 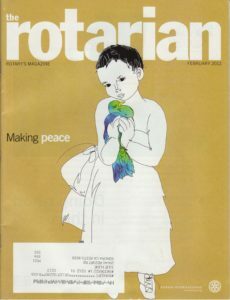 Rotary International has chosen peacemaking as a focus goal for 2012 and beyond! Extensive experience in mediating and resolving disputes as an advocate and mediator. Managed an active civil litigation practice in both Federal and State Courts, representing both plaintiffs and defendants. AV Preeminent Lawyer, rated by Martindale-Hubbell for the past twenty years. Member, California State Bar Association; Tuolumne County Bar Association; Alameda County Bar Association; Panel of Mediators, Tuolumne County Superior Court. Over thirty years expertise in construction defects and real estate litigation, and business dispute resolution. Lead counsel in numerous multi-million dollar complex litigation matters concerning construction defects. Served as an ADR provider through the American Arbitration Association. Grew a private mediation practice by producing superior results at less cost to clients. Studied and trained several hundred hours focusing on mediation, negotiation, arbitration and settlement skills. Tuolumne is a county in the Sierra Nevada of the U.S. state of California. The northern half of Yosemite National Park is located in the eastern part of the county. As of the 2010 census, the population was 55,365, up from 54,501 at the 2000 census. The county seat is Sonora, the county’s only incorporated city. The name Tuolumne is of Native American origin and has been given different meanings, such as Many Stone Houses, The Land of Mountain Lions and, Straight Up Steep, the latter an interpretation of William Fuller, a native Chief. Mariano Vallejo, in his report to the first California State Legislature, said that the word is “a corruption of the Indian word talmalamne which signifies ‘cluster of stone wigwams. '” The name may mean “people who dwell in stone houses,” i.e., in caves.